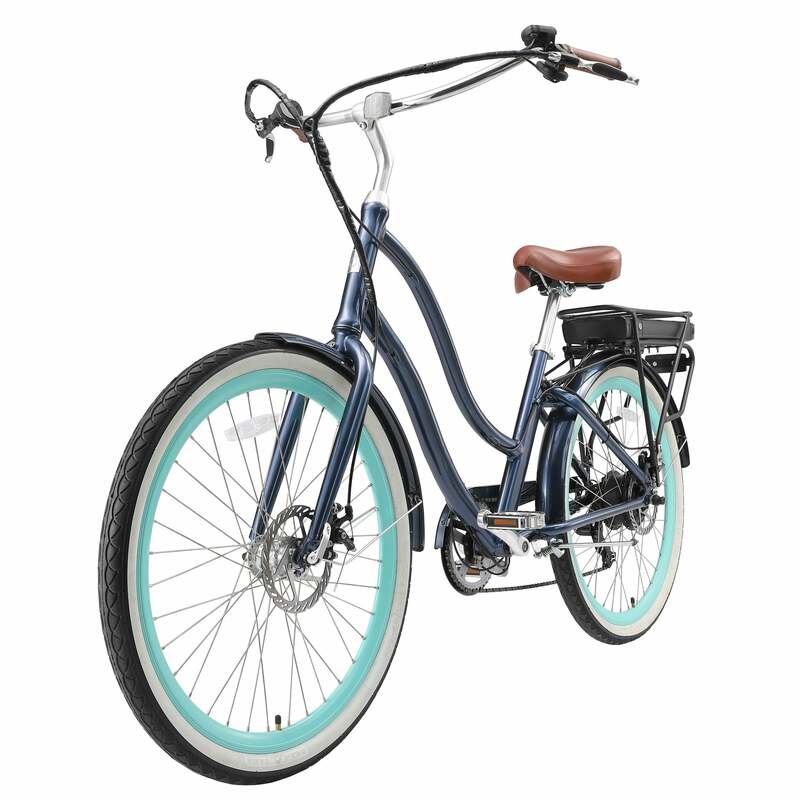 Electric Touring Cruiser Bike with 250 Watt Rear Hub Drive Motor with an ergonomically designed frame for maximum comfort and riding ease. A beautifully styled electric bike perfect for the rider that wants to travel by two wheels but prefers a reduced work load on their body. Go beyond your farthest ridden distances, up those daunting hills, and into strong winds without requiring extreme strain on your joints and muscles. Having the electric motor provides piece of mind knowing that if your body fatigues you have a backup power source to assist you. The smooth and simple electric motor reduces the muscle exertion required to power your two wheels. You decide the workout you get, leaving your body as fatigued as you want it to be after completing your ride. 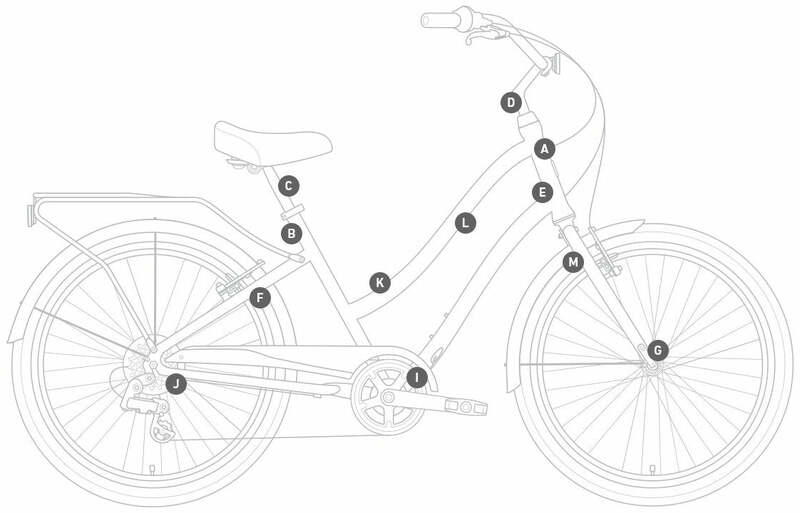 The 250 Watt electric bike motor can be used in three ways when riding. 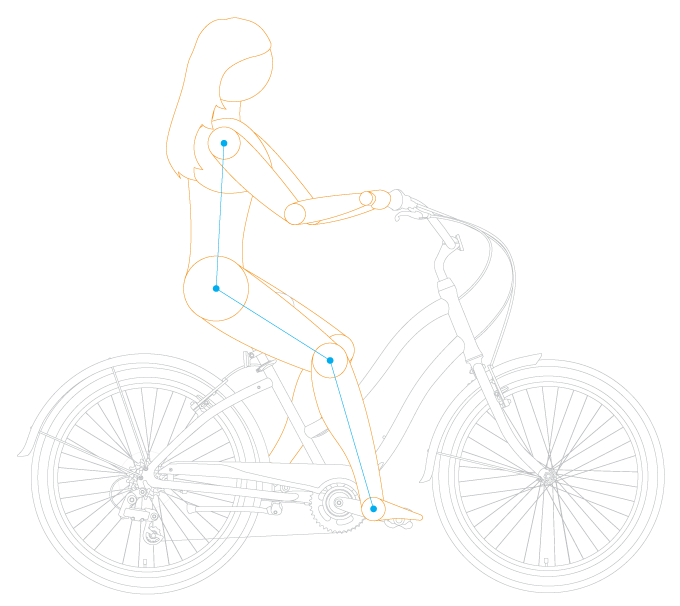 Sweat it out and push your muscles, leave the motor off and let your legs provide the power like a traditional bicycle. Inspired to ride farther than you ever have but nervous you may not have enough energy to get home, set it to pedal assist and engage the motor only when you pedal. Don’t want to feel an ounce of sweat pierce your skin, let the motor do all of the work by using the thumb throttle to move the bike entirely under the power of the motor. You just focus on the feel of the wind, the warmth of the sun on your face and the majesty of the surroundings you encounter on your ride. Perfect for the commute that was just a little too far, the ride that had just too many steep hills or for the everyday ride you want to enjoy a whole lot more. The Most Comfortable E-Bike EVER. This hybrid cruiser style EVRYjourney 7-speed 250 Watt Bicycle with 26-inch wheels from sixthreezero is perfect for cruise, leisure, and commute. 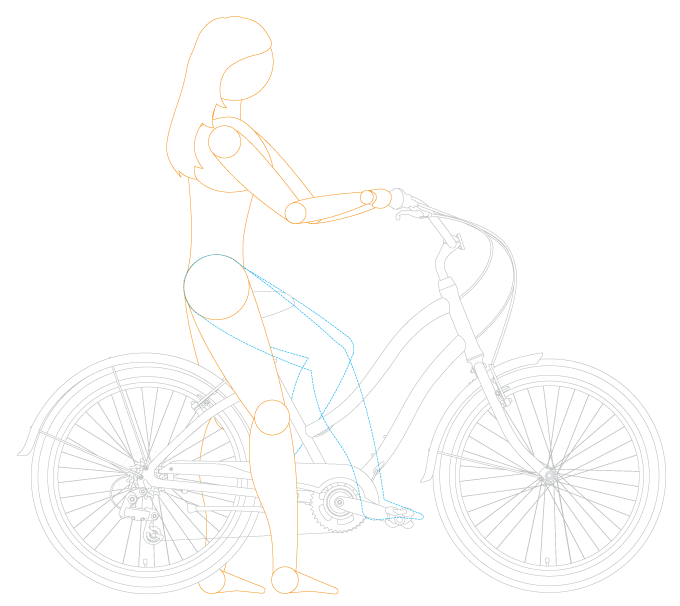 The pedals are moved forward and the bike itself is lower to the ground allowing riders to be close to the ground but still get proper leg extension.